Every change is not revolution- to learn this lesson Netai took a long time bearing some excruciating moments. 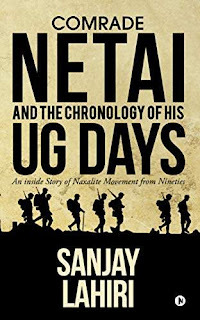 In eighties and nineties when the Naxalaite (Now Maoist) was reorganising itself Netai, a youth from middle class, got attracted towards the movement.However, his dream of revolution belied when he found group rivalry,lust for power and arms activity became deciding factor of every policy. In the meanwhile his home slipped into no man's land.